Union Dale, PA – Joe Moore turned conventional wisdom on its head when he decided to buy part of Elk Mountain Ski Area 50 years ago. “It was a lark because I had only skied a few times prior to becoming financially involved with Elk Mountain,” said the Philadelphia resident. “However, I was fascinated with the potential of the project and thought it had a bright future.” This despite the fact that Elk only had a single T-bar lift that serviced just half of the mountain. Moore eventually assumed 100 percent ownership and continues to be a very active, hands-on owner. The thousands of loyal Elk skiers who flock to the slopes in the Endless Mountains of northeast Pennsylvania agree. “Skiing at Elk is like skiing at your own private club,” said one long-time patron. “It seems you know everyone at the mountain.” There are no pretensions here. What you see is what you get, which is a mountain that tests the mettle of skiers in a variety of ways. For the most part, Elk is a mountain filled with challenges for the advanced and upper intermediate skier. To be sure, beginners can find their way around the mountain on some leisurely trails, but it’s the blues and blacks that attract the most attention from skiers. Elk’s signature bump run, the Tunkhannock, is ideally situated under the quad lift in order to give passengers a bird’s eye view of some very fluid skiers who gracefully maneuver their way through the moguls. It’s not uncommon to see a few telemark skiers weaving their way down the precipitous slope. With 1,000 vertical feet and 27 trails, most of which are cut from the natural fall line of the mountain, Elk’s terrain often reminds skiers of Vermont’s Okemo, only on a smaller scale. Skiers immediately notice the attention to detail at Elk. Seasoned groomers meticulously smooth designated trails each morning at the crack of dawn, resulting in a pristine, corduroy surface for skiers lucky enough to carve first tracks. Bumps the size of small Volkswagens are left on some slopes for the more adventurous skiers in your group, while extra wide trails provide plenty of elbow room for everyone. A friendship formed as college students led to the ownership of one of the most popular ski areas in the Pocono Mountains. Arthur Berry III and Ken Ellis first met on the Saratoga, N.Y. campus of Skidmore College in 1982. The two dreamed of one day starting a business together that would bring fun to their friends and guests alike. Their college vision became a reality when the pair purchased Camelback Mountain Resort in Tannersville, Penn., in June 2005. The venerable resort, which celebrated its 50th anniversary in February 2014, has seen substantial growth in just eight short years of ownership. 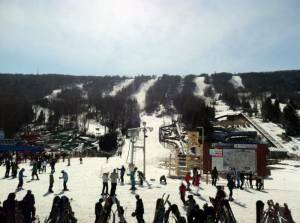 Located across the Delaware River only 90 miles from New York City, Camelback may be the quintessential Pocono Mountains ski resort. The snow is dependable and pristine landscapes encompass the resort. 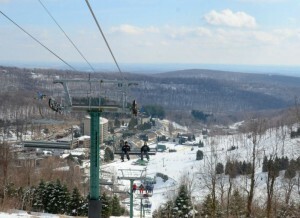 As a result, Camelback draws plenty of skiers who appreciate all that a Pocono winter has to offer. Camelback’s 800 vertical feet and 34 trails include the long and winding Nile Mile and Cliffhanger, a double black diamond that will get your adrenalin pumping. 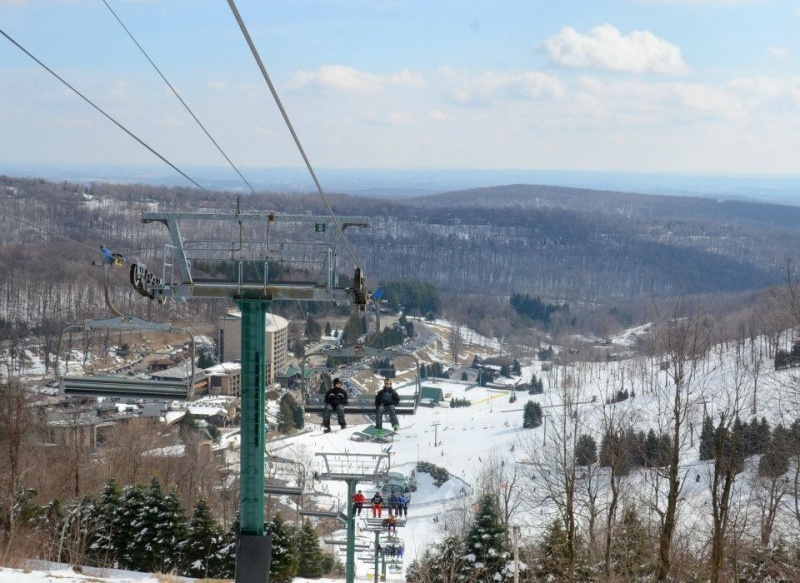 Schedule to open the spring of 2015, Camelback Lodge & Indoor Waterpark, featuring 453 guest suites, will be located at the base of Camelback Mountain for ski-in, ski-out access, the only such accommodations in the Pocono Mountains. 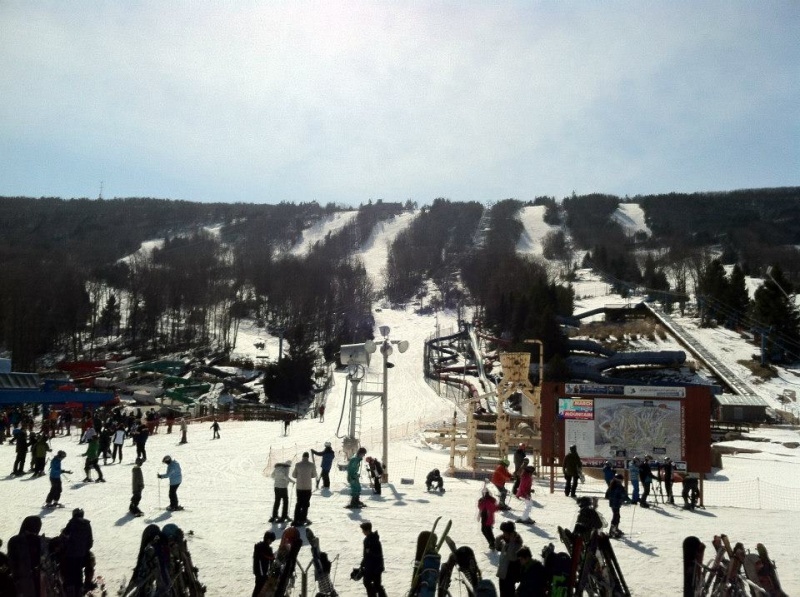 Seven Springs is a vacation experience unlike any other the Keystone State has to offer. Much more than a ski area, Seven Springs features a year round cornucopia of activities, including the Laurel Ridgeline Canopy Tour, the exhilaration of sporting clays, the stunning beauty and challenge of its mountaintop golf course, the ultimate in relaxation at the luxurious Trillium Spa, along with 60,000 square-feet of meeting and convention space. Located within 200 miles of the major metropolitan areas of Pittsburgh, Baltimore, Cleveland and Washington D.C., Seven Springs hosts more than one million overnight and day guests annually. 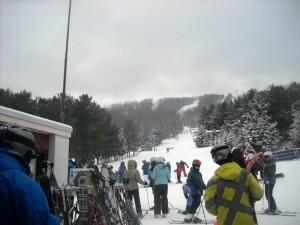 Seven Springs has 33 slopes and trails on 5,500 acres, seven terrain parks and the region’s largest snow tubing park. In addition to Seven Springs, the Nutting family also owns Hidden Valley Resort, located in Hidden Valley, Penn. With 31 slopes and trails and two terrain parks on 110 skiable acres and a first-class snow sports school, Hidden Valley offers a comfortable environment to learn to ski or snowboard.